News TV Channel / Astro Awani is the in-house rolling television news and current affairs channel providing 24-hour news coverage including news in Malay. With its slogan and motto tagline names News that transcends Dimensions (Malay: Berita Segenap Dimensi), Astro Awani presents news and informative programs including current affairs, lifestyle, documentaries, interview programs and a local and international magazine. 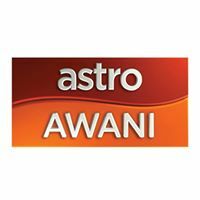 Astro Awani started broadcasting on 6 September 2007 as part of the revamp of Astro's news division. The station is targeted at Malaysia, Brunei and Indonesia. Currently, the channel has numerous bases each with their own correspondents, and can also call upon a wide range of resources and global bureaux provided by the Malaysian government such as reporters from Bernama.